Cerberus Capital Management LP today boosted its stake in plastic automotive components by acquiring ABC Group Inc. 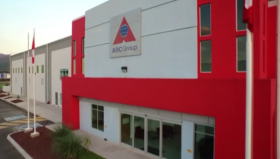 Privately held ABC, based in Toronto, generated about $1.15 billion in total revenue during its last fiscal year, according to data from Plastics News, an affiliate of Automotive News. Terms of the transaction were not disclosed. 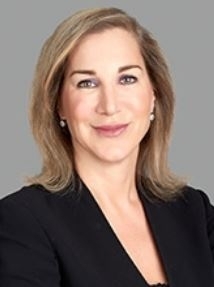 ABC will be headed by CEO Mary Anne Bueschkens, former president and general counsel. Helga Schmidt, wife of co-founder Mike Schmidt, is stepping down as chairman and CEO. Derrick Phelps becomes president after a stint as deputy president. Mark Poynton will continue as executive vice president and COO. “We look forward to our next phase of growth alongside Cerberus as we enhance and expand our integrated product solutions and further broaden our extensive thermoplastics manufacturing expertise,” Bueschkens said in a statement today. ABC began molding auto parts in 1968 in Toronto. It was a pioneer in various molding technologies dating back to 1984. The private company grew to a global business with 36 locations, including joint ventures, in North America, South America and Asia. Helga Schmidt took over ABC’s reins in 2009 after Mike Schmidt’s death at the age of 78. Mike Schmidt emigrated from Yugoslavia to Canada in 1956 and in his early years was involved in processing equipment production. He and his partners had a knack for applying plastics manufacturing to new end uses and they carved a niche in auto parts before the company diversified into other markets, such as lawn and garden and chemical packaging. ABC will be headed by CEO Mary Anne Bueschkens, the company's former president and general counsel. Cerberus, a longtime player in the auto industry, is most known for its failed acquisition of Chrysler Group before the automaker filed for Chapter 11 bankruptcy in 2009. It later was saved by a U.S.-backed bailout that resulted in Fiat taking control of the automaker. Cerberus also is majority owner of Reydel Automotive Holdings BV of Baarn, Netherlands. Cerberus created Reydel Automotive in 2014, when it bought Visteon’s auto interiors business. Reydel runs 17 manufacturing facilities, six just-in-time assembly operations and eight technical centers in Europe, South America and Asia. New York-based Cerebus, founded in 1992, has more than $30 billion invested in diverse sectors. “We firmly believe in ABC Group’s proven business model, consisting of innovative product solutions and vertically integrated global manufacturing operations, and are confident that our automotive sector expertise and extensive operational capabilities will enable the company to continue to grow,” noted Cerberus managing director Dev Kapadia in a news release.